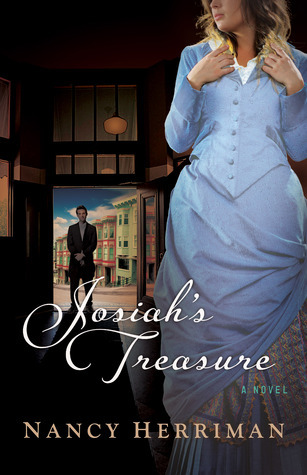 Josiah’s Treasure by Nancy Herriman is packed full of good writing, like-able characters, and an easy to follow plot, but for some reason I couldn’t get involved in the story. If there were a point system with the stars, I’d give it 3.9, simply because I didn’t fall in love with Sarah and Daniel’s tale. In 1882, Sarah Whittier dreams of opening an art studio run by immigrant women. She plans to use the house left to her by family friend Josiah Cady as collateral for her studio. But will all be lost when the inheritance is challenged by an angry man claiming to be Josiah’s son and legal heir? 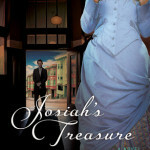 Rumor of gold nuggets hidden in the house, place Sarah’s life in danger. 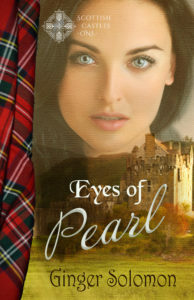 Her future uncertain and her safety threatened, Sarah has nowhere to turn. That is, unless she can soften a vengeful man’s heart-and they both learn that love is finer than any gold. Lolling at the roses! I guess if they can, you can too. The book sounds good to me. There’s something about that blue cover I love too.